If We Don’t Win then You Don’t Pay! 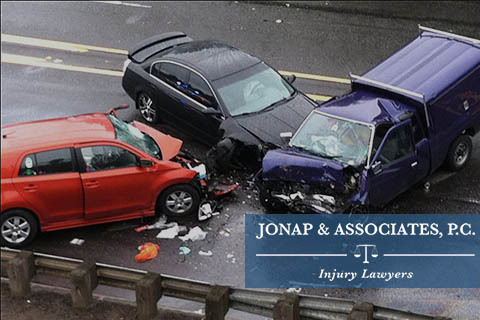 Jonap and Associates, P.C., is an Atlanta based legal firm, serving clients throughout the state of Georgia. Our firm has handled more than 25,000 Personal Injury cases and has been awarded one of the largest nursing home abuse verdicts in state history. Our team of expert attorneys specialize in the following types of cases: Personal Injury Law, Wrongful Death, Car Accidents, Motorcycle Accidents, Tractor Trailer Accidents, Aviation Accidents, Medical Malpractice, Nursing Home Abuse, Spinal and Catastrophic Injury and all cases where you were injured through the fault of another. At the office of Jonap & Associates, P.C., we are devoted to protecting the rights and dignity of the individuals we serve within the fullest extent of the law! We are committed to ensuring that our clients receive justice and the award they deserve for the pain and suffering, lost of wages, and previously denied benefit claims, in order to sustain their quality of life, self determination and self sufficiency. Our clients and their loved ones are treated with respect, integrity and traditional confidential client service values, which are the foundation and core of our practice.